Following a recent article in facebook, a number of players have contacted me over the last few days inquiring how many games they played over the last ten seasons. Well, as you can imagine there is a bit of work involved compiling so I decided to let you add them up yourself! The following is a list of appearances and goals scored in League and Cup for Premier teams from 2008/9 season to 30/1 2017/18. Players are listed alphabetically and no doubt you will find anomalies but ….. If anyone wants these in excel format just let me know. All players to confirm their availability for UEFA regions cup playoff game on Sat. 17th February in AUL Complex, Dublin , K.O 2pm. Players will meet at 10-45 sharp . Please contact Dennis Cruise , FAI Junior Sec. on 087 2562794 if unavailable . Standby players will replace players who are unavailable and will be notified in due course . 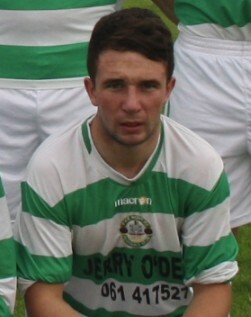 The Balon Sport player of the Month for December is Paddy O’Malley of Pike Rvs. 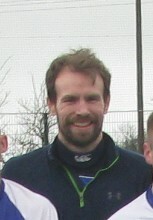 The popular Clare man has been in fine form of late and has played in all of Pike’s last seven consecutive wins. Doing much of the unheralded work the versatile O’Malley has also been the architect of many of his side’s goals. With a much curtailed programme due to weather and the Christmas break, the Crossagalla Club squeezed in two games advancing in both Munster Junior and FAI Cups and Paddy was on the mark in both games, a 3-1 win at Charleville and a 7-0 win over Hill Celtic in the FAI. All matches fixed for this weekend have been cancelled due to the weather conditions. Fixtures will be fixed as normal for next weekend.